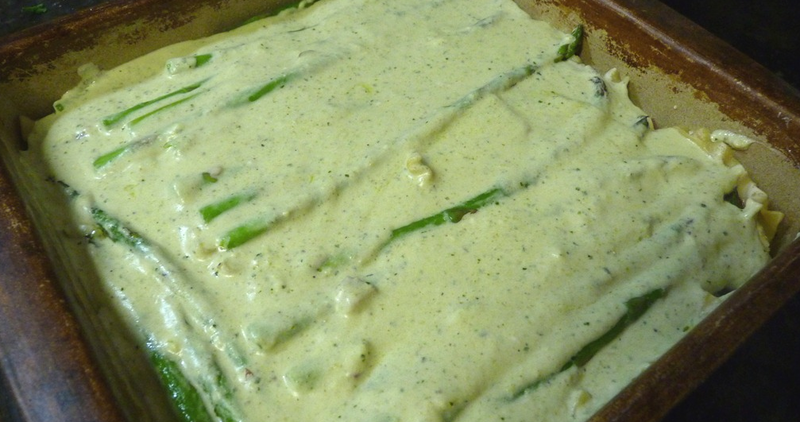 Asparagus Lasagna with a Basil Spinach Pesto Recipe! 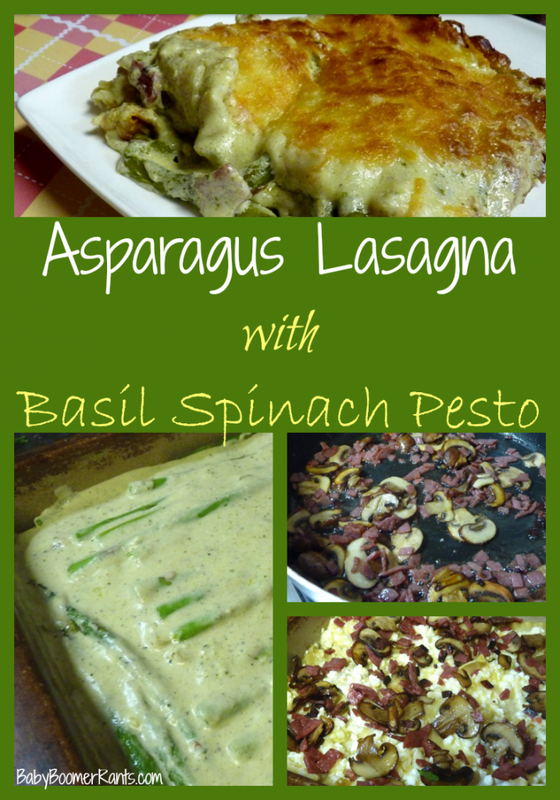 You are here: Home / Recipes / Dinner / Asparagus Lasagna with a Basil Spinach Pesto Recipe! I saw an Asparagus Lasagna once before online and wasn’t able to find it again, so I made my own. Here is my version, I made it in a square baker and it was so good and so rich. We made it the whole meal. No salad….nothing. Of course, this was before I started Weight Watchers……cause trust me, I am not sure I would want to count the points. I won’t say this is a particularly quickly made dish. If you have your pesto already made and in the freezer, this will go faster. Store extra in the freezer. Now make your cream sauce by melting the butter and adding the flour to that. Stir until smooth and add in the milk. Stir until smooth and add in the cream. Let it thicken. Add the cream cheese and Parmigiano Reggiano (or Peccorino Romano). I actually splurged and used my Parmigiano Reggiano that I purchased in Parma, Italy. Yum! After it is a good consistency, add the seasonings and the Basil Spinach Pesto. Stir and serve over warm pasta. Cook the lasagna noodles, enough for two layers in a square baker. Set aside. In the microwave, cook one bunch of asparagus for about 1 minute. Set aside. Melt two tbsp butter and 1 tbsp oil in a skillet. 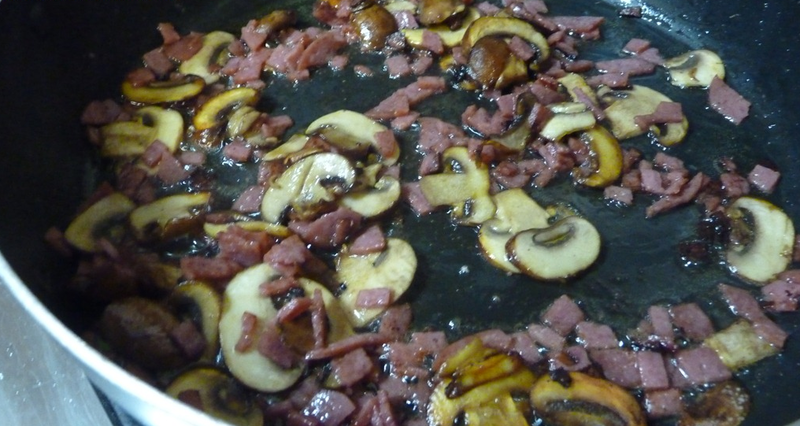 Add sliced mushrooms and 1 cup chopped salami and saute. Set aside. 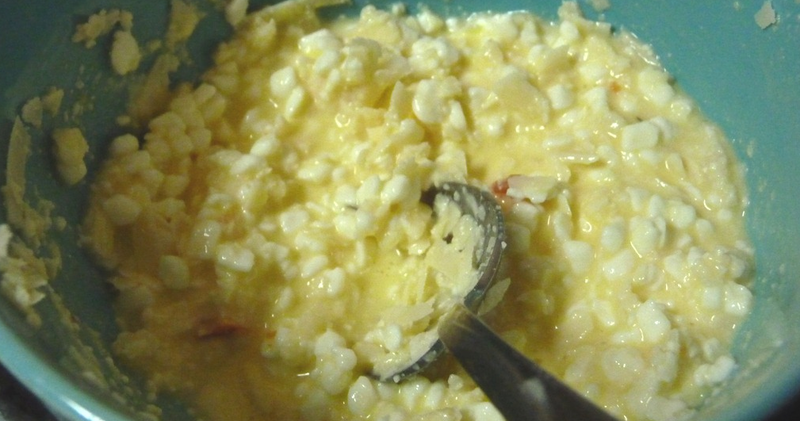 In a blender, put the cottage cheese, Eggbeaters, and 1/2 cup Parmigiano Reggiano and blend until smooth. Set aside.